NEXT | What other games' ideas do you want Blizzard to add to its own? Last night Overwatch Lead Writer Michael Chu cleared up some of those burning questions surrounding Brigitte’s reveal in a Q&A. One of the biggest questions people had was the presence of Mercy in Brigitte’s story. Just due to timelines, Mercy wouldn’t have been very old at all when Torbjorn was in the hospital following operation White Dome. But it turns out that Angela Ziegler was a longtime family friend of the Lindholms. Although quite the prodigy at a young age, she was still just a teenager when she visited Torbjorn. She hadn’t finished her studies or joined Overwatch as of yet. 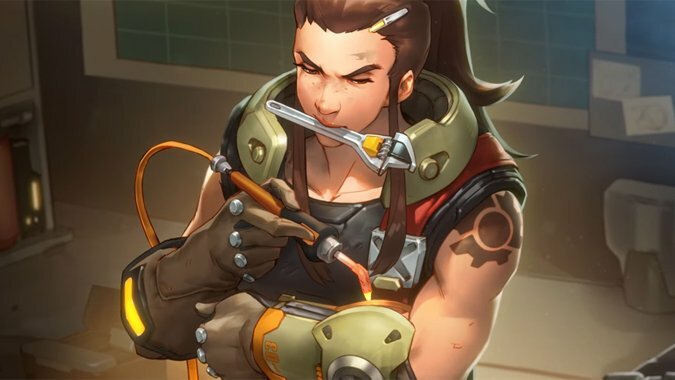 The story design behind Brigitte was also given some additional clarification. Back when Reinhardt was designed, they wanted a character to be his squire. Reinhardt’s a Don Quixote figure, so he needed a Sancho Panza. Brigitte was created to fill that role, and she’s been in the story almost from day one as a result. Maybe not as a prospective hero, but as a character nonetheless. The Q&A addresses a bunch of questions, but I have to admit I’m just a little disappointed with the answers overall. We got a few new tidbits of information, but the majority of the Q&A simply clarified story points players were confused about. Of course that isn’t a bad thing and it’s nice that they took the time to do so. At the same time, I was hoping we’d get a few more reveals in the process. I mean, we know Reinhardt picked Brigitte’s name — but hey, why’d he choose the name Brigitte? Regardless, it’s nice that Blizzard went out of their way to give us a Q&A dedicated to Overwatch story, rather than Overwatch gameplay. I’m still hoping we’ll get more lore Q&A’s in the future. Brigitte’s great, but there are all kinds of other story questions people have about Overwatch’s vast cast of characters. It’d be nice to see some of those questions answered as well. Head to Blizzard’s website to read the Q&A in full, and keep your fingers crossed if you’d like to see more of this story-related content in the future.